Back pain is a very common condition that can interfere with an individual’s ability to perform everyday activities. Patients with chronic back pain suffer from physical symptoms, as well as mental health symptoms, that can negatively impact their quality of life. Back pain sufferers are usually initially treated with conservative measures including medications, physical therapy, steroid injections, and other alternative, non-invasive options. However, some patients continue to experience debilitating symptoms despite trying conservative treatment methods. These patients may require surgery to manage their back pain symptoms. Spinal disc decompression is a type of surgery that is performed to alleviate spinal pain that is the result of nerve impingement. There are two common types of spinal disc decompression procedures: laminectomy and discectomy. A laminectomy involves removing part or all of the vertebral bone (lamina) to relieve compression of the spinal nerve roots or spinal cord. Nerve root or spinal cord compression may have been caused by an injury, herniated intervertebral disc, spinal stenosis, or tumors. This type of procedure provides more room for the nerve root, and in turn reduces pain and extremity symptoms, allowing the individual to return to normal functioning. This type of procedure is only considered after conservative treatment methods have failed to provide pain relief. A discectomy is a procedure that is commonly used to treat ruptured or herniated intervertebral discs. It involves removing damaged disc material that may be causing nerve impingement, thereby relieving pressure on the spinal nerves and alleviating a patient’s pain and related symptoms. 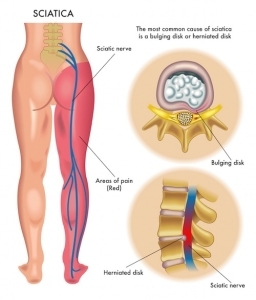 How Is Spinal Disc Decompression Performed? For a laminectomy procedure, an intravenous line may be started and vital signs are monitored throughout the procedure. The patient is placed on their side or stomach on the operating table. The skin over the affected area is cleaned with an antiseptic solution. The physician then makes an incision over the affected vertebrae, and spreads the muscles apart to visualize the bony structures. The laminae of the affected vertebrae are then removed, which alleviates pressure on the spinal nerves. In some cases, the physician may also perform a discectomy or spinal fusion, if necessary. A spinal fusion involves connecting two or more segments of the spine to help stabilize the spine. The incision site is then closed and a sterile bandage is applied to the area. After the procedure, the patient is moved to a recovery area where their vital signs are monitored. A laminectomy usually requires a short hospital stay. For an open discectomy procedure, the patient is usually under general anesthesia. The patient is usually placed on their stomach on the operating table. The skin over the affected area is cleaned with an antiseptic solution. The physician then makes a small incision in the skin over the affected area of the spine. The muscle tissue is removed from the lamina above and below the affected intervertebral disc and retractors hold the tissue away from the surgical site to allow for optimal visualization of the surgical site. In some cases, bone and ligaments (laminectomy) may have to be removed to allow for access to the intervertebral disc without damaging the surrounding nerve tissue. Once the physician is able to visualize and access the disc, the damaged disc material that is protruding from the intervertebral disc and any other disc fragments that may have separated from the disc are removed. The incision site is then closed and a sterile bandage is applied to the area. The patient is moved to a recovery area where their vital signs are monitored. Open discectomy procedures usually require a short hospital stay. Following spinal disc decompression procedures, patients may experience pain at the injection site and the original spinal pain may not be immediately relieved. Pain medication may be prescribed to manage pain during the patient’s recovery period. Risks associated with spinal disc decompression procedures include: bleeding, infection, blood clots, spinal cord injury, and risks associated with the use of general anesthesia. Furthermore, injury to the surrounding nerves and blood vessels may occur, which can result in weakness or numbness. In rare cases, the pain may not be relieved by surgery or may actually become worse. Laminectomies are commonly performed to treat symptoms related to spinal stenosis. These symptoms include pain, weakness, and numbness or tingling that can travel down the extremities. Other spinal conditions that may be treated with a laminectomy include herniated intervertebral discs and sciatica. Discectomies are performed when an intervertebral disc has ruptured and is putting pressure on spinal nerve roots, which may be causing pain and other symptoms, such as numbness, tingling, and weakness in the extremities. Occasionally, patients may undergo a laminectomy and discectomy at the same time due to the nature of their injury. Patients suffering from back pain that is unresponsive to conservative treatment methods may have to undergo surgery to experience relief of their symptoms. Laminectomy and discectomy are two types of spinal disc decompression procedures that can provide relief for patients suffering from chronic spinal pain and extremity symptoms. Laminectomy procedures involve removing part or all of the lamina, which alleviates pressure on the nerve by creating more room in the spine. Conversely, discectomy procedures involve removing damaged disc material in an effort to alleviate pressure on the spinal nerves. These procedures are used to treat symptoms related to spinal stenosis, herniated intervertebral discs, spinal stenosis, and tumors. 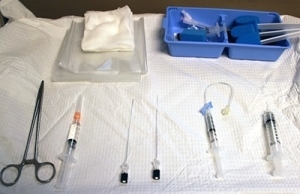 Occasionally, patients may undergo both procedures at the same time. Both procedures require minimal hospital stays, but the aim is to have patients return to full functioning once complete healing has occurred. These procedures should only be recommended once all conservative treatment options have been exhausted. Benz RJ, Garfin SR. Current techniques of decompression of the lumbar spine. Clinical Orthopaedics & Related Research. 2001;384:75-81. Choy DSJ. Percutaneous laser disc decompression: a 17-year experience. Photomedicine and Laser Surgery. 2004;22(5):407-410. Guiot BH, Khoo LT, Fessler RG. A minimally invasive technique for decompression of the lumbar spine. Spine. 2002;27(4):432-438.
org,. Laminectomy | Johns Hopkins Medicine Health Library. N.p., 2015. Web. 21 Mar. 2015.
org. Lumbar (open) Microscopic Discectomy. N.p., 2015. Web. 21 Mar. 2015. Popov V, Anderson DG. Minimal invasive decompression for lumbar spinal stenosis. Advances in Orthopedics. 2012;article ID 645321:5 pages. Schaeren S, Broger I, Jeanneret B. Minimum four-year follow-up of spinal stenosis with degenerative spondylolithesis treated with decompression and dynamic stabilization. Spine. 2008;33(18):E636-E642. Singh V, Manchikanti L, Benyamin RM, Helm S, Hirsch JA. Percutaneous lumbar laser disc decompression: a systematic review of current evidence. Pain Physician. 2009;12:573-588. The post Spinal Disc Decompression appeared first on Pain Doctor.